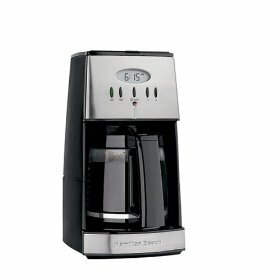 My husband and I love the Hamilton Beach 43254 12-Cup Coffeemaker. Coffee is brewed with such a rich flavor. Easy to use and program. Ideal machine for brewing more than one cup of coffee. I also like to use the gold tone filter. Join in and write your own page! It's easy to do. How? Simply click here to return to Your coffee maker ratings or stories.